Delicious puddings or a cheese board? 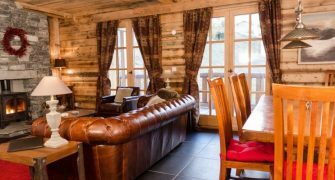 Venture Ski’s portfolio of chalets in Sainte Foy have grown over many years to provide premium accommodation and facilities to keen skiers and snow holiday seekers. Our private spa and swimming pool is just one feature to help ensure your family or group truly enjoy our ski chalet experience. 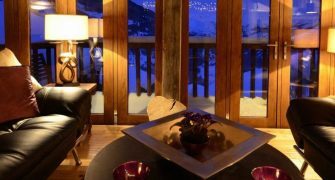 Whether you are a single traveller, a couple, a group of friends, a family or large corporate group, Venture Ski provides the benchmark for accommodation and service to which all other Sainte Foy ski companies aspire. Our shared chalets allow you to book a single en-suite room, or to book the entire chalet as your own personal use. We invite you to come and experience the Venture Ski difference. Massage treatment therapists available to ease those aching legs! At Venture Ski we pride ourselves on producing the finest food, using locally sourced ingredients and the expertise of our consulting professional head chef, to create truly delicious and special dishes. We provide a selection of cereals, yogurts, fruit juice and freshly baked croissants for breakfast every morning with hot option (fee applies) available in the Black Diamond Lodge restaurant seven days each week; creamy porridge, pancakes, or full English, just tell your chef how you like your eggs. Fresh tean & coffee and a delicious cake or baked treats await your return from the slopes every day. Our wines are locally sourced and specially selected to compliment your meal. We also have a range of à la carte wines and champagnes available sourced from across the major wine producing regions of France. Children’s meals are cooked using fresh, healthy ingredients to ensure the little ones are re- energised after a big day on the mountain, and to allow you to relax and enjoy your meal once they’re tucked up in bed. Our Sainte Foy chalets provide boot dryers and private lockers for ski equipment. 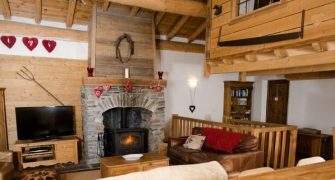 After a strenuous day in the mountain the accommodation provides you with a relaxing environment to unwind and enjoy the company of family and friends, or perhaps in Chalet Sapins or Chalet Charmes, to mix with a larger group. Our Venture Ski spa and swimming pool is accessed just a few metres from the door. In the peaceful area of La Bataillette; all our ski chalets are a five minute walk from the resort centre where there are a shops, local restaurants and bars, nursery slopes, ski schools, and the main ski lift. Even closer to hand is the Black Diamond restaurant and Apres-ski bar. You can ski right back to your door, and although only a couple of minutes walk to climb back onto a lift, there is also a free navette shuttle bus to make your ski holiday even easier. The chalets are also close to creche and childcare facilities. Babysitting services are also available. The Sunday Times placed Sainte Foy No.1 in their feature article the ‘World’s Best Family Ski Resorts’ two years ago. And The Times wrote that Venture Ski has “built some great chalets with top-notch on-site childcare” and has “easily the best [cuisine] compared to our peers”. And in their two-page article on us the Daily Mail referred to “…faultless, cheerful service and great food”. Any doubts you’ve chosen the right place? Take a look at our guest reviews.